When you think about an International event where different countries will join in a Seminar and you will end the week with a group examination, the first thing you have in mind is the competitive element. In Muay Thai everything is about being faster, stronger, better and if you like the competition, you will always train to be the best in a tournament or championship. The first impression when I got into the bus going to Costacciaro (where the seminar was hosted) was completely different. I know IMBA is an Academy and every member is Family, but when I met the representatives from every Country that feeling got real. It was an incredible experience to put a face and a voice on every one of the posts, activities, emails, news and all the interaction you can have when you are part of a big Family like IMBA. Once in Costacciaro everybody made their check in and they got ready for the first formal reunion. A family like any other human structure requires a lot of elements to remain strong. The first one is a Leader who can work as cohesion factor. Bramarjarn Marco de Cesaris has this talent to create empathy with everyone in the first second. He is more than a Great Martial Arts Master and he has created this worldwide construction where every string has a particular element that makes IMBA solid and stable. The second element needed for a good structure is the harmony, each link in a chain must have the same appearance in order to be strong when together. In a physical structure is all about physical qualities, but in a human structure the harmony appearance has to be with inner qualities like strong will, humility, common sense and the ability to leave the previous knowledge behind in order to understand the new knowledge presented. When you are at home you know there is movement among the sister schools all over the world, and you know every representative has his own way to understand its role in the IMBA family. However, it is until the group is together under the rigor of the training when you realize that although each teacher has his own style we all have the same energy flowing through our minds. We all understood that Muay is above the language barriers, and transcend the physical borders. When you understand this, you know you are online with the other element needed on every organization and it is the final goal. When we were running together before each training, we were expecting for the content of the next lesson, and not just because of the technique but for the whole experience where we shared, our point of view of the same element; and the cohesion factor is the Grand Master Marco who developed the right approach of the technique based on the traditional origin but with the modern combat mindset of the westerner mind. The five days of the gathering had different stages with an order you cannot find in any Martial Art. Sadly, one of the results of the practice of Martial Arts in modern times is the loss of the structure and the introduction of the practice just for physical condition. 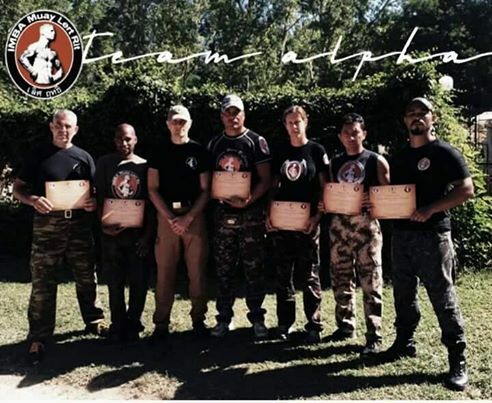 Nobody wants to learn the origin of the techniques, the history of the Art itself or the system of training to prepare the body and mind for real combat while the emotional aspect is balanced. Everybody want to look fit and to feel well on a baiting suit. 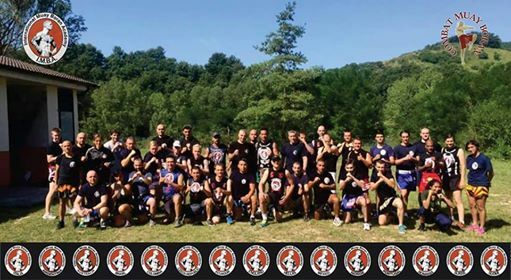 IMBA Muay Boran has this order in the system, the training program, the technical studying, the traditional and modern mixture of every session of workout that gets you in balance between you mind, your body and your emotions. After each day of training I felt this calm fruit of a day of feeding your mind with the best content and complemented with the experience of sharing a day with true friends. Costacciaro was an experience of one week of going deep into the ocean of Muay and all together with the company of great people leaded by a great Master who has restored the real Spirit of the Art. 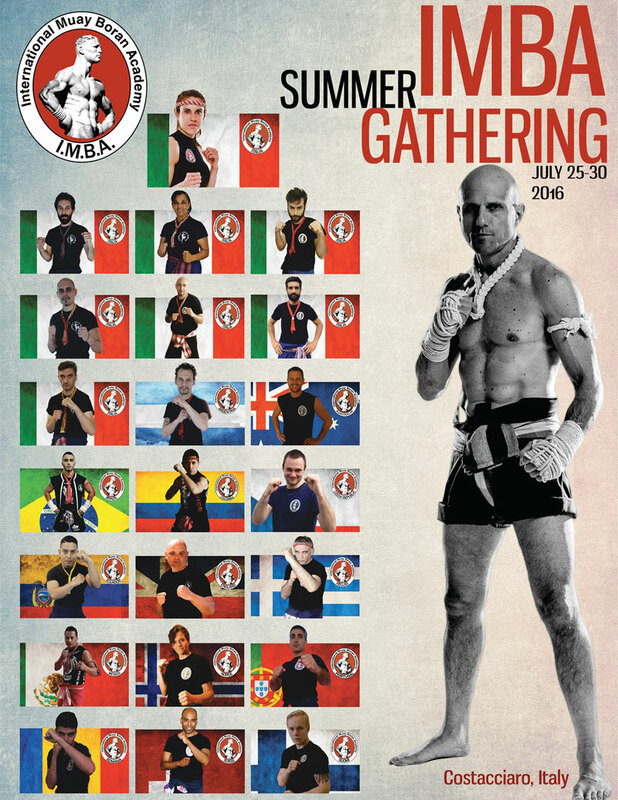 The summer gathering was a huge success; we were representatives of 17 different countries. We all presented examinations, we all trained and gave the best of ourselves; The gathering gave birth to a new Technical committee, a new administration structure for IMBA worldwide, a new IMBA Lert Rit Alpha Team, and we all took home more impressive work to fuel up our schools. I am sure for the next year we will have a stronger team for each country, new countries joining the Gathering and more and more power to keep this “Muay Machine” moving without pause.